If you love Sous Vide cooking then you are really going to love the magic mill. 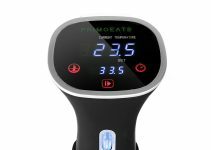 This is one of the better Sous Vide cookers on the market with the perfect blending of state-of-the-art technology and tried-and-true, traditional Sous Vide cooking methods. Let’s start this review by checking out the features that the Magic Mill sports. Temperature range setting from 115 degrees to 195 degrees Fahrenheit. The Magic Mill unit perfectly blends of state-of-the-art technology and tried-and-true, traditional Sous Vide cooking methods. 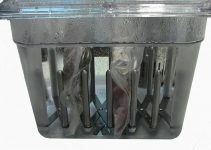 Sous Vide is an absolutely amazing cooking technique that results in some of the most delicious meals that you ever tasted. Five-star restaurants that are known around the world use this technique because of how evenly it cooks food and how it can get it to the perfect temperature every single time. With this Sous Vide appliance, not only does the food get cooked to perfection, but it is so simple and easy to use that anyone will be able to make the perfect meal. 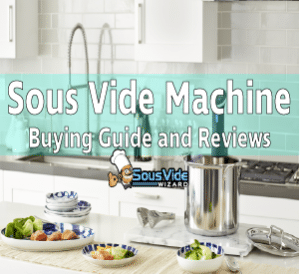 There are a lot of great things about this particular Sous Vide cooker that make it one of the best out there. Let’s go over some of the advantages, and then the disadvantages of this appliance next in the review. The advantage of this cooker is how easy it makes it for you to cook food Sous Vide. It’s very simple. You just put the Sous Vide package inside of the cooking unit on the rack that comes with it, and then you can use the included tongs to remove it. With the push button controls you’ll be able to set the temperature to whatever you want, from 119-195 degrees (F) and there is a timer that you can choose to set whatever you want it at, up to 72 hours. In addition, the entire operation is silent and you are able to cook Sous Vide without any inconvenience whatsoever. This is also a really large pot when it comes to best home suvee cooker units and the advantage of that is that you will be able to prepare bigger pieces of meat or other foods so that you can feed more people. Otherwise, you would have to cook food multiple times to make sure that everyone got to eat, or else eat much smaller portions. Finally, this really is a great-looking, quality Sous Vide cooking pot. It is shiny stainless steel with black accents on the top and the bottom and then the LED screen is an electric blue color. This is an attractive piece that you won’t mind storing out in the open in your kitchen after you buy it. There really aren’t too many disadvantages associated with this product and there are lots of happy people with nothing to complain about that have one. There is one thing that you want to be aware of. Although when you adjust the temperature control, you can do it a single degree at a time (and it does switch to Celsius if you prefer that measurement). So, if you have a specific time that you want to cook something that isn’t an increment of 30 minutes you are going to have to watch the clock. But even this minor disadvantage definitely shouldn’t be a reason not to buy this quality Sous Vide cooker because the advantages far outweigh this one minor thing. There really is no reason not to get this Sous Vide cooker and every reason to buy it. 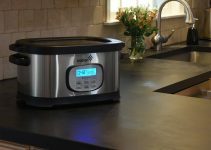 The price is great; it is a very high quality cooker with a lot of features and you can see from the review of the advantages and disadvantages that the former far outweighs the latter. If you want to do great Sous Vide cooking, especially for a large family, then this is the perfect way to do it. You’ll love what you are able to make with this quality cooker.